Gary Brock, owner of Expressions Cabinetry, believes he knows where the future and better margins are the semi-custom market. 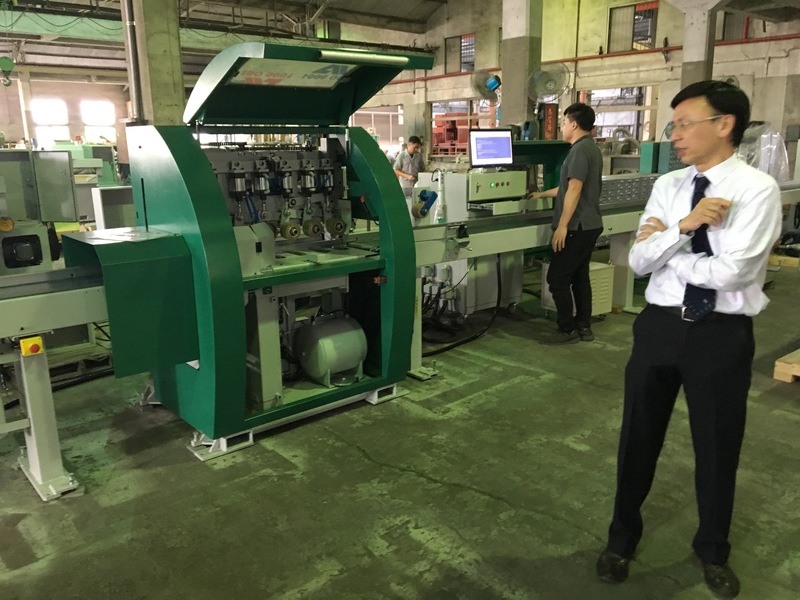 So he is taking the existing equipment of the 19-year-old plant he purchased in March 2004 and his 32 years of experience in the industry, and entering the semi-custom competition. The company, located in Gadsden, Ala., currently offers its independent reps and more than 260 dealers a high-end stock cabinet line with an engineered-to-order option. "So many cabinet manufacturing companies miss so much business because they put such limits on their customers," says Brock. "If, from the onset, you create a set of rules that are so daunting and restrictive that the customer doesn't even want to deal with you, you're dead from the beginning." The primary ingredient that's been missing from the company's mix has been its ability to provide wood doors and to finish them in-house. Component Innovation Software, now Cam2, by Woodworking Automation Systems and a new state-of-the-art finishing line are the answer, says Brock. "What this will new facility will do is position us on the same playing field as the competition," says Brock. "With our existing plant with its high-capacity equipment, coupled with the new finishing facility, we will now be able to court a larger segment of the market. It's a major turning point in the 20-year history of the company." Brock was Expressions Cabinetry's general manager for 2-1/2 years before he bought the company. "When I came on as general manager I saw the potential here," Brock says. He was required to evaluate the equipment and decide whether to replace it or refurbish it. "When the machinery was purchased, it was expensive, well-made equipment," says Brock. He recommended refurbishing the machinery, and the company replaced tired or faulty components ranging from conveyor belts to sensors and wiring. Equipment and manufacturing processes were designed for flexibility to meet the needs of the company in its earlier incarnation as Custom Panels, when it provided cabinet components for a number of larger cabinet companies of both stock and semi-custom lines. Carcases are manufactured using batch processing. All carcase parts are cut on one of two Holzma beam saws. Parts are edgebanded on an IMA Combina line consisting of automated conveyors and four edgebanders set in a configuration that runs panels through to size and edgeband two sides, automatically turns them 90 degrees and cuts and edgebands the remaining two sides. When the edgebanding is complete, panels are automatically picked up with a vacuum lift and placed on a cart next to the machine for further processing. Two single-side edgebanders, an IMA and Biesse Ergho 9, are used for specialty jobs. There are two Biesse CNC machining centers, one used for horizontal boring/grooving and another for smaller parts. A Busellato CNC machining center is used for diagonal cabinets and specialized jobs. A Koch doweling machine inserts the dowels in the panels. Cabinet boxes are constructed out of 5/8- or 3/4-inch melamine board using dowels and glue. 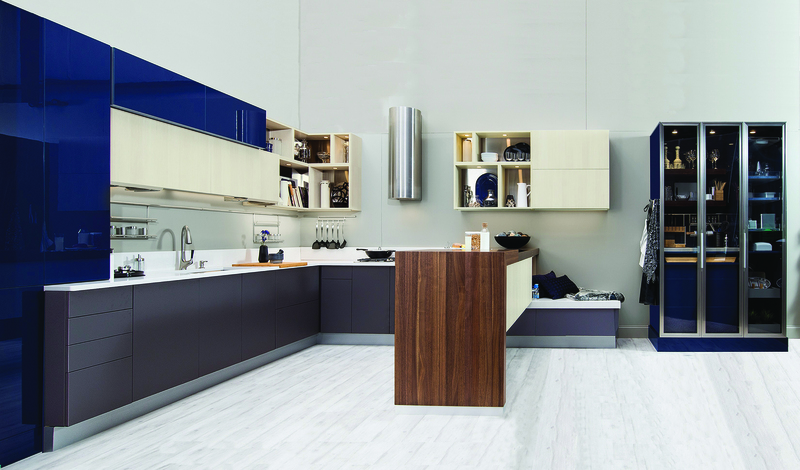 Cabinets are 32mm frameless or full-access cabinets, as Brock prefers to call them. "The cabinet carcase will always be made over here [in the main plant] because of the tremendous capacity," says Brock. "Even though they're not pristine, these older machines work very well and are designed for high output." While cabinet processing runs smoothly enough that the company averages 250 cabinets per day with just one shift, doors and drawer fronts were never part of that mix. Expressions Cabinetry outsourced all its doors. To bring the process in house, Brock bought Component Innovation Software to design, nest and program doors. "Component Innovation has in many ways turned us around. One of our largest expenses was purchasing doors from another place to put on our cabinets," says Scott Maddox, the CAD engineer. "Right now we manufacture our three largest-selling door styles here with Component Innovation. It's enabled us to bring more to the bottom line and provide us with more flexibility." Maddox enters the tooling information and door profiles into the program and it automatically arranges the doors, generating code, printing pictures and creating machining information that is downloaded into the Komo CNC machine, where the doors are processed. The company transfers information on a floppy disk, but is working toward installing a direct line to the machine. The company just purchased a Northwood CNC router to increase its door capacity, since the Komo is already working full time to produce doors. Some nested MDF doors go to a separate pressing room to receive a coat of Daubert glue and be run through the Shaw-Almex membrane press. Other routed MDF doors can be taken to the new finishing building to be primed, painted and glazed. In-house finishing was necessary to progress to the semi-custom realm. 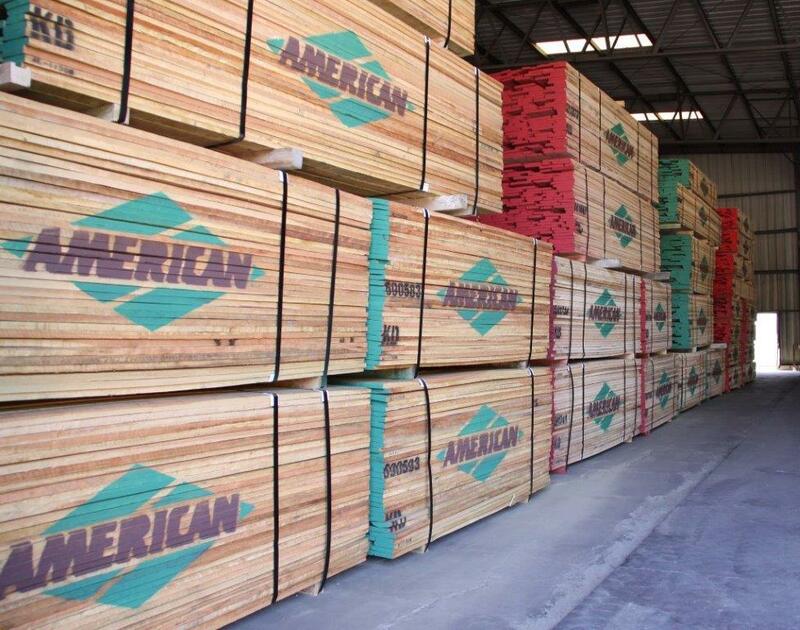 In addition to the MDF doors, solid wood doors, outsourced from Morgan Brothers in Laurel, Miss., will also be processed in the finishing facility. Brock says that the industry is being pushed toward waterborne finishes, but adds that there are considerably more challenges with waterborne products than solvent-based finishes. One of the keys to making waterborne work is to design the finishing equipment around this type of finish from the beginning. Built a short walk away from the older plant, the new 24,000-square-foot building has 5,000 square feet isolated and pressurized for the finishing line. When it came time to decide on the finishing system, Brock agonized over which type would be best for his situation. He didn't want the maintenance or the expense of the new flat line systems that incorporate enclosed reciprocating lines and move product through on a moving belt. "There's a lot of costly maintenance and I didn't want to go that route," he says. So he chose a hanging line with opposing spray booths. Each booth incorporates a sophisticated three-zone vertical reciprocator that is offset in each booth and uses multiple guns to apply stain, paint, sealers and topcoats. The company uses Sherwin-Williams Coatings waterborne finishes, Kremlin guns and Graco pumps. Photo eyes at the entrance of the booths in this automated system send information about the part to the computer and govern the guns, indicating which zones to spray. This minimizes finishing material waste. The system is set up with a three-stage electrical oven system. The process starts with a flash oven that brings the temperature up gradually, proceeds to a second oven that brings the heat up to its drying level and a third oven that maintains a constant temperature. When doors come out of the oven, they proceed to a Fladder Gyro 300 denibber/finisher sander to prepare doors for additional coats. Brock understands that aiming at a new market is a challenging venture and the transition from stock to semi-custom entails some risk. With all the steps he's taken to get ready, he feels that his biggest resource will be his team, his employees. "Without good, dedicated people, you cannot make it in the manufacturing world in the United States right now," says Brock.